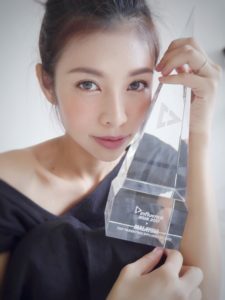 We often want to pamper ourselves to body massages or spa once in a while when we feel tired, but have you thought about giving your head a well-deserved pampering spa session too? I was invited by MoltoBene (company who producted Bene Premium Bluria & Rougeria hair care series i blogged about earlier) to try out Moe Moe Spa Treatment at their office salon. 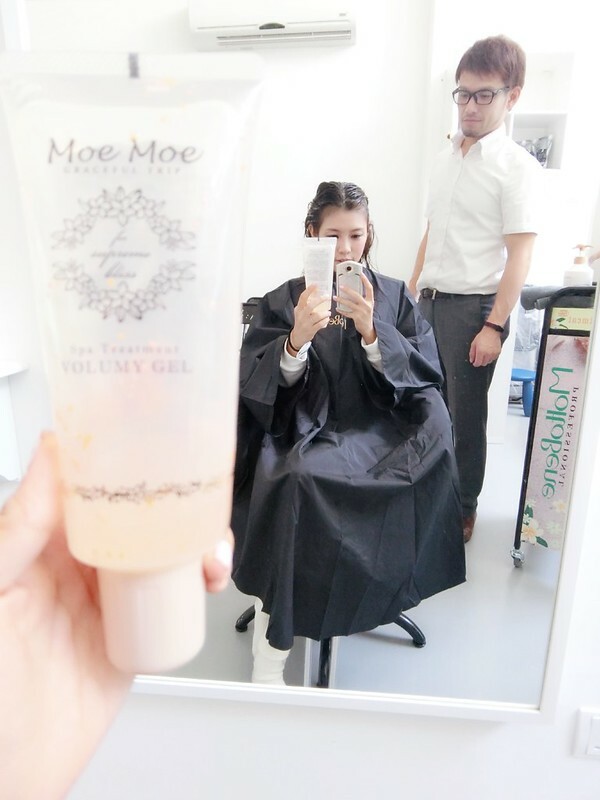 Unlike the usual hair treatments that focus on repairing the hair, Moe Moe focuses on a relaxing experience as a whole. It sounds very Japanese (as it comes from japan, of course), but it is actually Hawaiian themed (knowing how much Japanese people love Hawaii! ), and the word Moe Moe means “to rest” and “to relax” in Hawaiian. The packaging is also super sweet and pretty! That’s the Moe Moe Spa Treatment product series. If you look carefully, there’s a sequence to it, from fresh green leaves to blooming flowers, i guess it represents the unfolding of a woman’s beauty! MoltoBene’s products are always very wholesome! 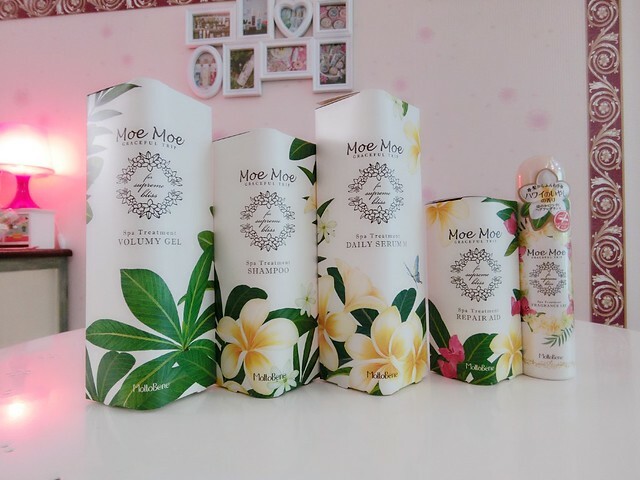 Moe Moe is silicone and ethonol free, and contains certified organic ingredients of Neroli, Petitgrain, Ylang Ylang essential oil, blend with the scent of Jasmine flower. Sounds just like a Hawaiian vacation! Other than that, one of the most important routine for the spa treatment is the specially customised massages. The first step is soda cleansing for the scalp. A rich bubble foam is sprayed onto your scalp (you get to choose non-minty or minty. I chose the minty one because i love the cooling effect it has on scalp! ), and even the hair, to give it thorough cleansing with gentle massage, at the same time giving nutrition and balancing pH to hair and scalp. After that there’s the Volumy Gel, which is a cleansing gel with fine vitamin A & E beads inside to cleanse dirt and also to volumize roots of hair as its name suggests! It is done with massage motions again by the deft fingers of Suzuki san. It feels super good!!! The massage in this step is very important to promote metabolism. 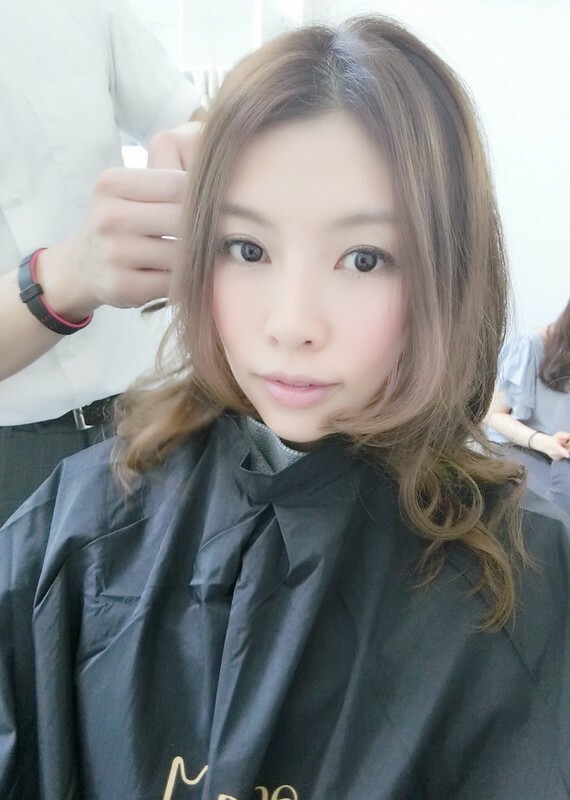 After that a hair treatment is applied to make your hair soft and moisturized. Now that your scalp is completely clean, you can give it a little boost with multivitamins to help moisturize scalp. It could also reduce unpleasant smell of scalp, especially in a hot country like Malaysia. And the treatment part is done! 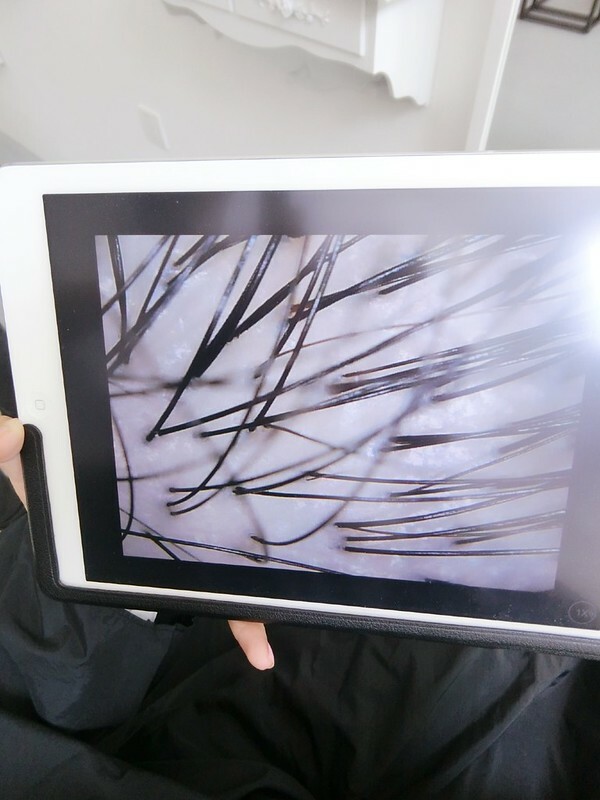 After that Suzuki san then help me check the condition of my scalp. Can you see that??? Sparkling clean!!! With Suzuki san and Moe Moe products. 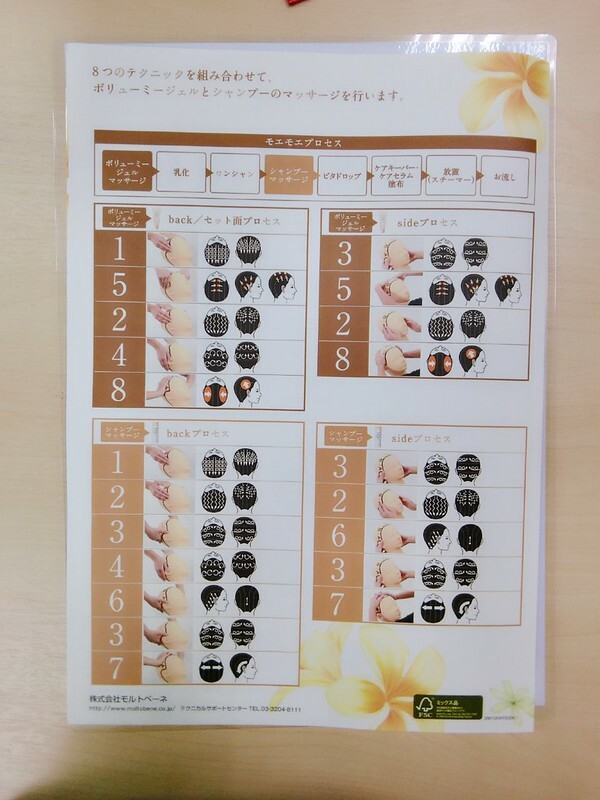 Although they are mainly for professional salon use, there are several products you can bring home too for daily usage! 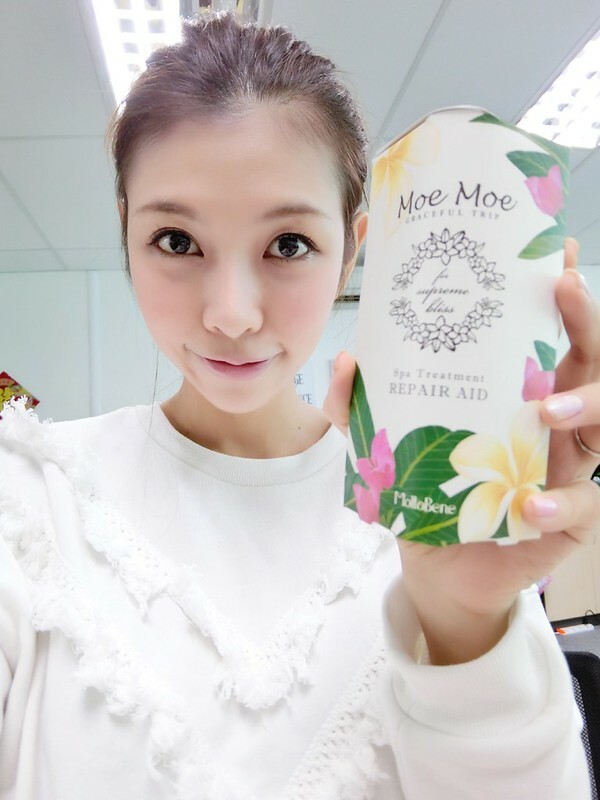 Also, the good news is, although it is a professional range, Moe Moe is not only available in salons, there are also bring-home products you can purchase for home care! 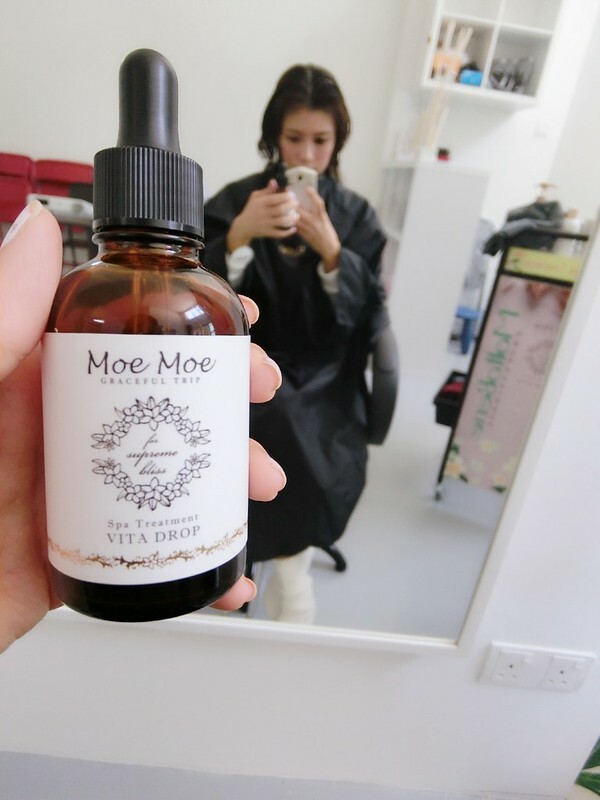 Moe Moe shampoo washes hair thoroughly for a lighter texture and prevent hair discoloration and curl keeping at the same time, perfect for colored and permed hair! The Daily Serum is a daily hair treatment for continuous soft and volumized hair even after you come home from salon treatments. 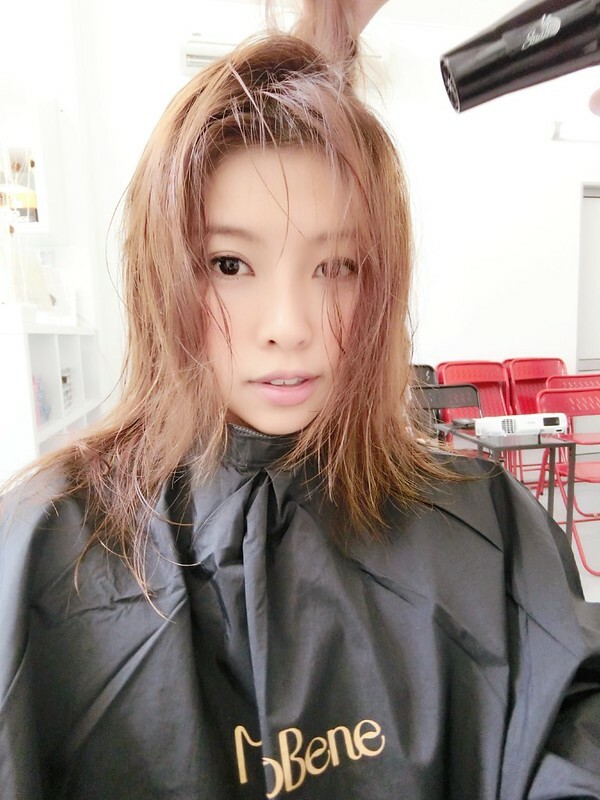 This is a leave-in treatment with watery milky texture to keep hair even softer and moisturized! 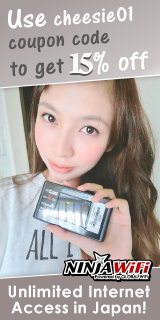 I apply a pump or two to towel-dried hair after shower. Lastly, as you can see on a bottle a beautiful floral Lei, it is a hair fragrance spray with a sweet sweet scent reminiscent from the earth of Hawaii. This is not just a hair fragrance, it also comes with UV protection, and serves as a protection for your hair against unpleasant smell like tobacco or smoke. So if your working environment has a lot of smoker, or it’s a clubbing night out or a BBQ party, do have a quick spray before you head out! Herbal Essences Neo Gal Party! so pretty!!! @@ I think you look great with shorter hair! 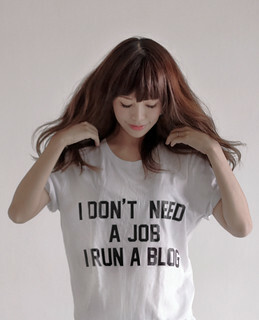 And i’m so jelly you always get to pamper your hair so often i guess i will have to start visiting the salons you blog about! 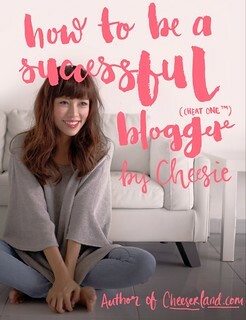 OMG Cheesie are you all really coming to Hawaii?? (I live here!) Do you know what island(s) yet? i’m going to have to try this!!!!! Anyway i came here through your IG and i really enjoy all the baby food posts altho i dont have one yet myself. 🙂 Keep it up! Moe Moe is my friend’s nick name!! Haha! The Japanese really have the best sense of packaging ever!